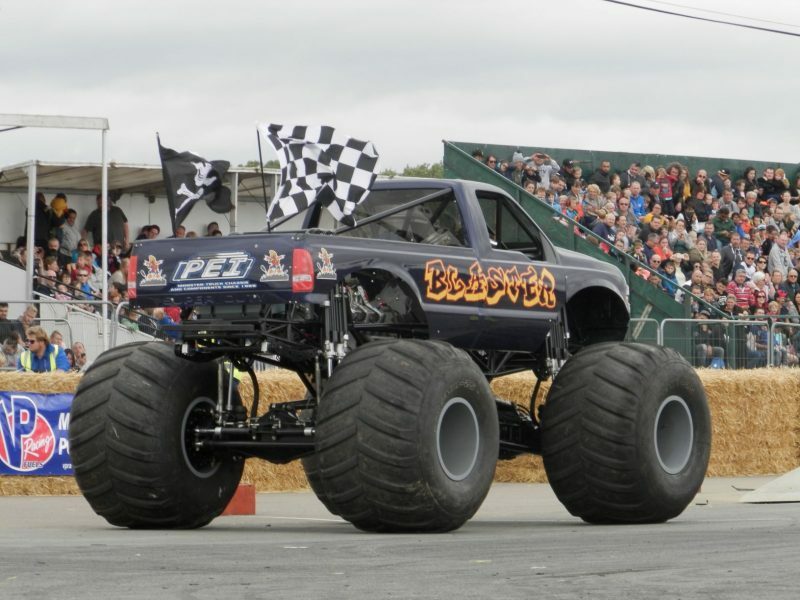 News Archives - Patrick Enterprises Inc.
Congratulations to Ian Jones / Blaster Monster Truck – Racing winner at the 10 Anniversary of Santa Pod Raceway, England August 19, 2018. 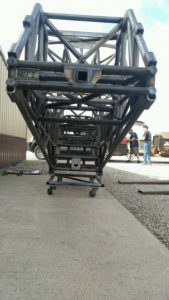 PEI built this truck and shipped to Ian Jones in Wales July 2010. 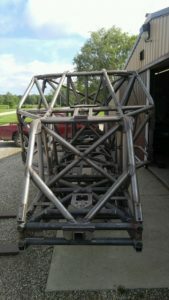 We are very proud of Ian and his racing! Also blessed to have gotten to know Ian and his family.. 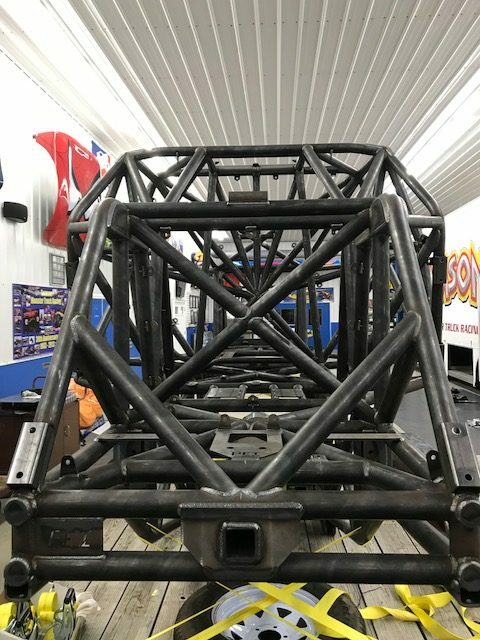 Since taking the turn from being a fan to becoming a driver, Matt Pagliarulo and the Tom Foolery Motorsports team have been supporters and customers of Patrick Enterprises Inc. Their first chassis was completed in 2014 to become the very first Jester Monster Truck. 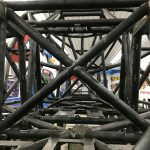 In that time Pagliarulo and his team have competed across the country on the sports’ biggest stages in front of massive crowds and finding success along the way. 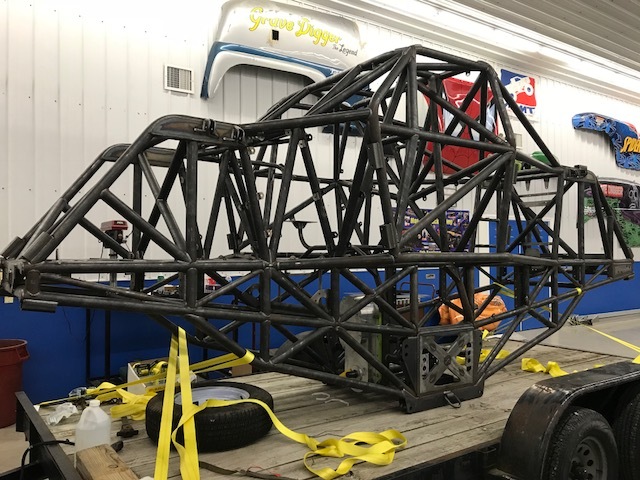 Pagliarulo has a reputation for pushing the truck to the limits and going big in freestyle every time he takes to the track. 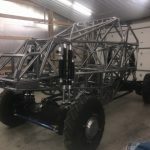 Last year the Pagliarulo’s made the decision to expand their operation by adding a second truck to the team with the all new concept for the Kraken Monster Truck for their oldest son Nick. 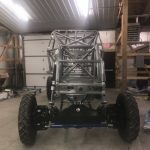 The all new chassis from PEI would be going to Matt and Jester, while Nick would inherit their first truck to run as Kraken. 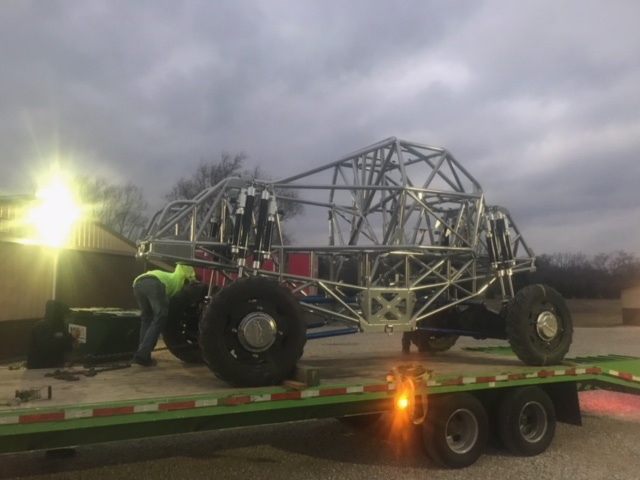 The PEI team would put the finishing touches on the piece in May before delivering it to the Pagliarulo’s in Deltona, Florida along with a ton of parts to complete the assembly of the truck. 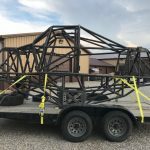 Their team has a quick turnaround ahead of them as they intend to debut the truck next month in July for a busy summer schedule ahead. 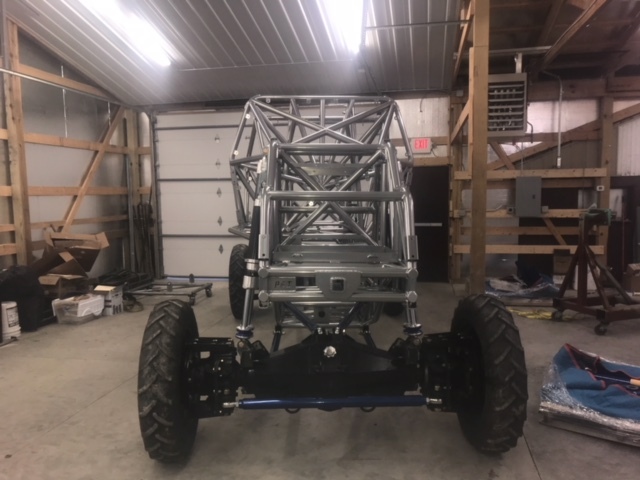 We look forward to seeing the all new Jester Monster Truck in action and we’re proud to have the Tom Foolery Motorsports team as great customers putting our products to the test. 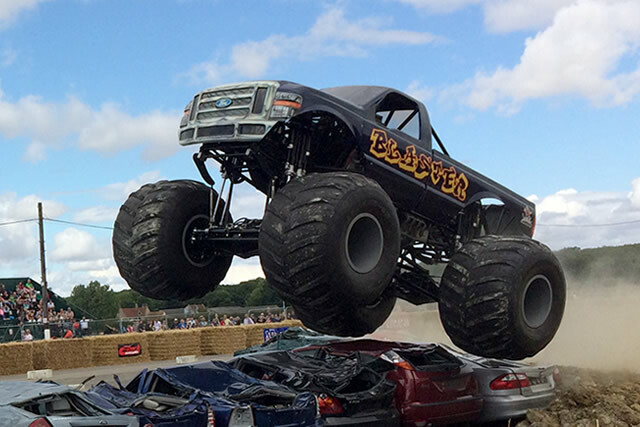 While Dan Carey of Ontario, Canada is a relative newcomer to the monster truck business he’s jumped into in a big way. 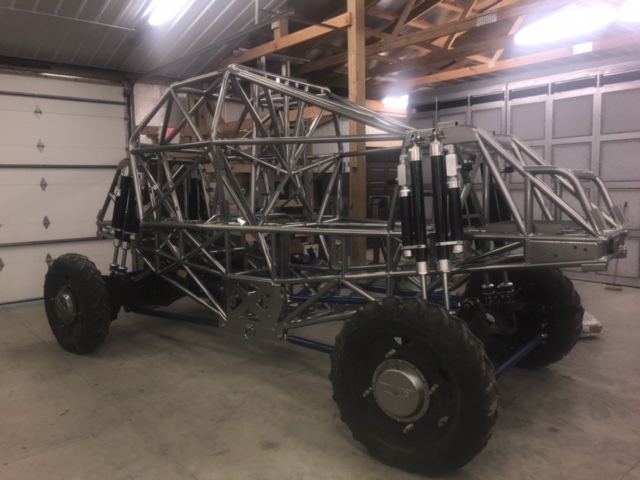 In 2016 we completed our first chassis for Carey which went on to become the awesome looking Train Wreck monster truck. 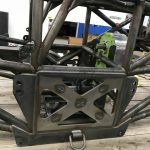 Since its debut Carey has been performing across Canada and parts of the United States with the truck and making a name for himself and his team. 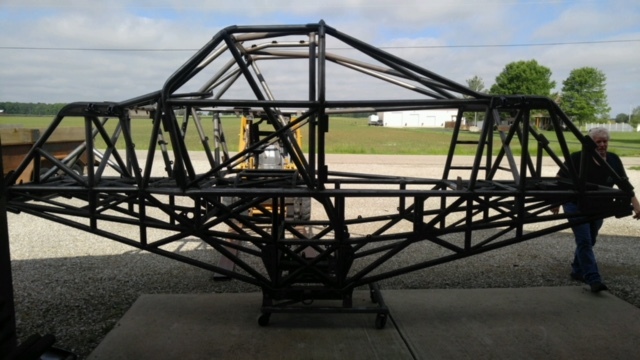 Recently Carey decided to expand his operation and put in an order with Patrick Enterprises Inc for a second chassis which was recently completed. 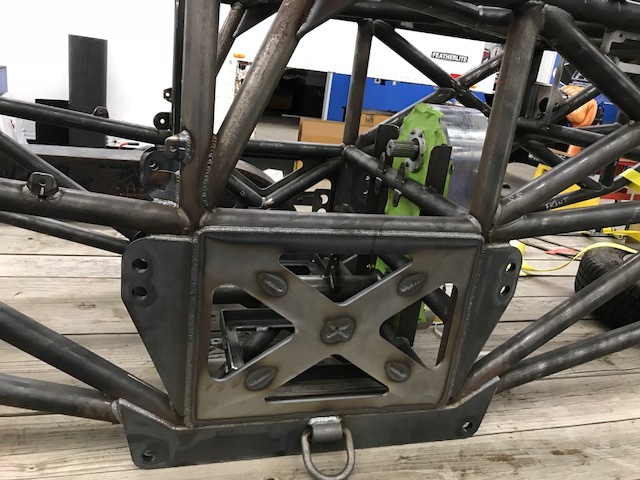 We’re excited to see another happy customer putting our products to work in the industry and looking forward to seeing what Carey and the Train Wreck crew come up with for their next truck. 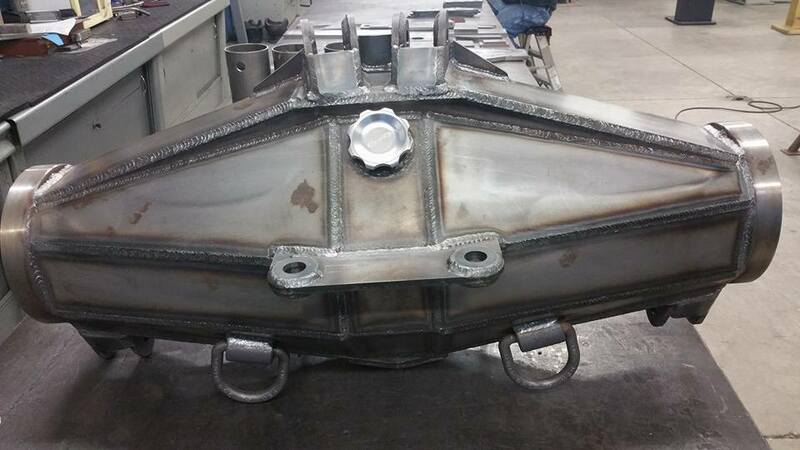 For all your monster truck chassis and monster truck parts needs remember to contact us to get what you need! 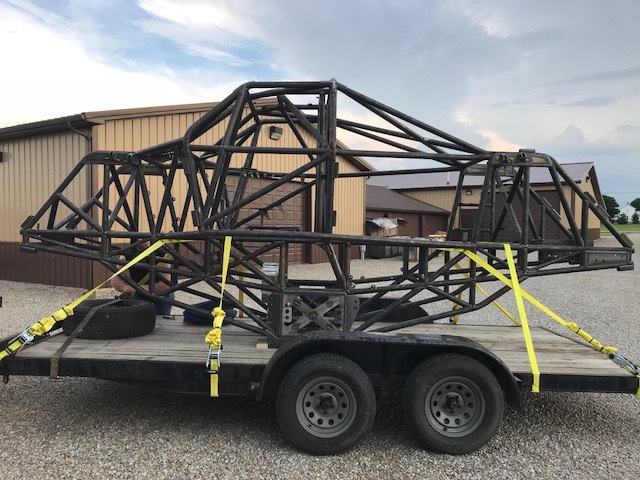 The newest PEI competition ready chassis to roll out of the shop and be ready for action this season was for Zane Rettew of Holtwood, PA. 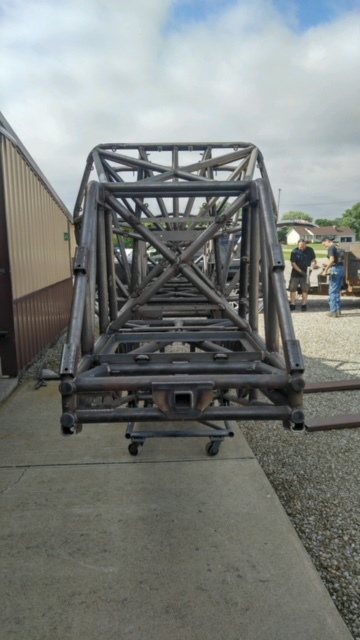 This piece was delivered as a complete rolling chassis ready for driveline and other necessary assembly before being ready to run. 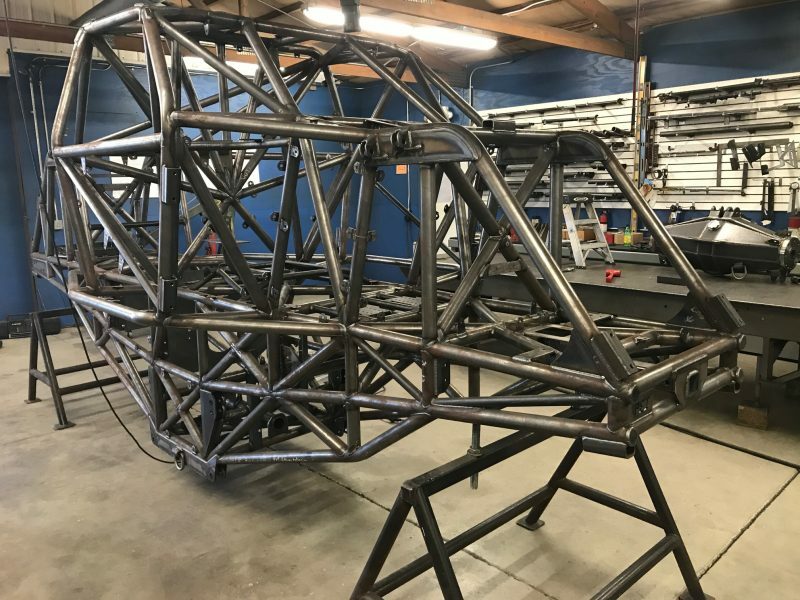 In addition to the chassis construction and other parts, all the powder coating was done in house at our new powder coating shop. 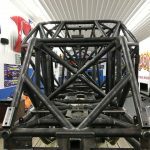 Rettew picked up the chassis in December and completed the finished truck before his first event of the season in Charlotte, North Carolina on January 6th. 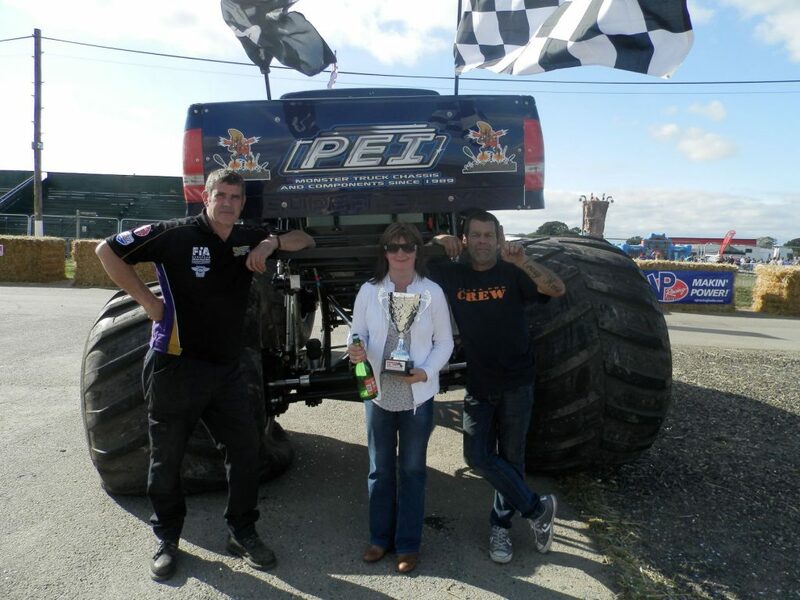 Since then Rettew has racked up a number of wins and had great success with Stinger Unleashed on Monster Jam’s Arena Championship Series. 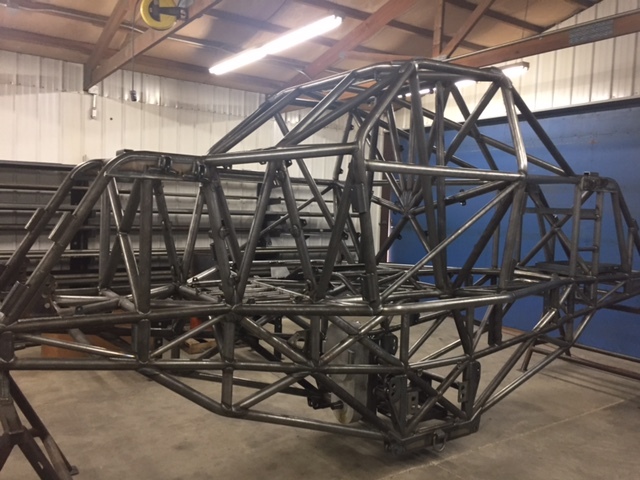 We’re also working on a second chassis to be completed in the near future for Rettew’s operation and look to see it on the circuit soon. 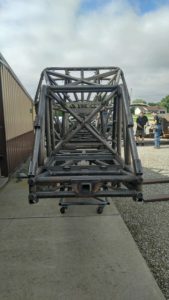 We’d like to wish Rettew the best of luck for the upcoming season and we thank him for being a great customer. If you’re looking to represent the PEI brand and need some new colors in your wardrobe look no further than our online store. 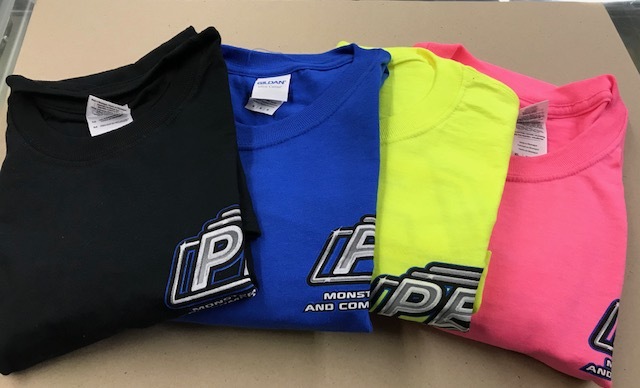 We’ve recently added Hi-Vis Yellow and Pink to the color options as well as the original Black and Blue options. 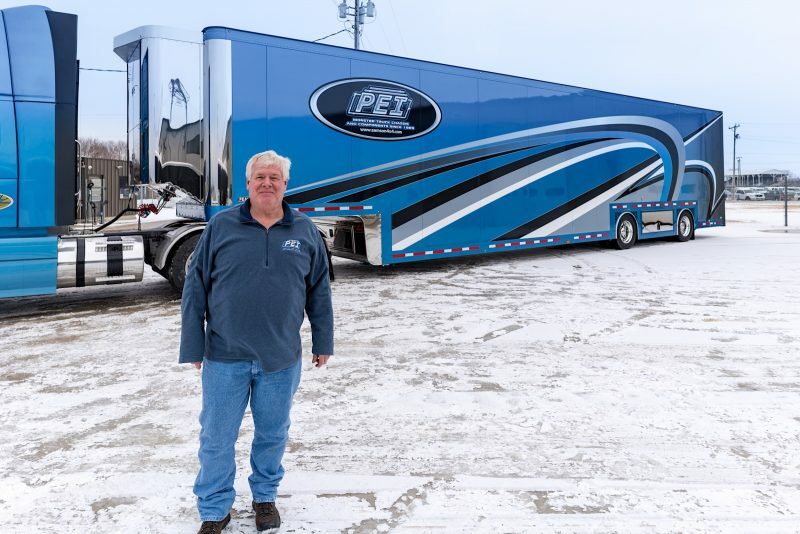 Also for the colder times of first quarter don’t forget to grab yourself a PEI hoodie too which is available in Black and Blue. 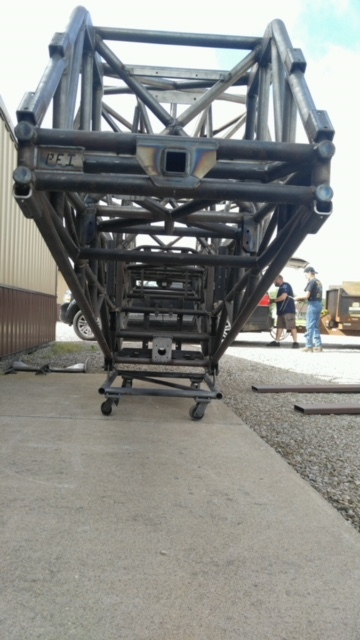 Head over to our Merchandise store today to get yours. While you’re there don’t forget to stock up on Samson items as well! 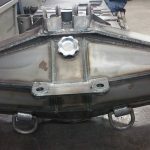 CONGRATULATIONS to Ian Jones of Bala, Wales!!!! 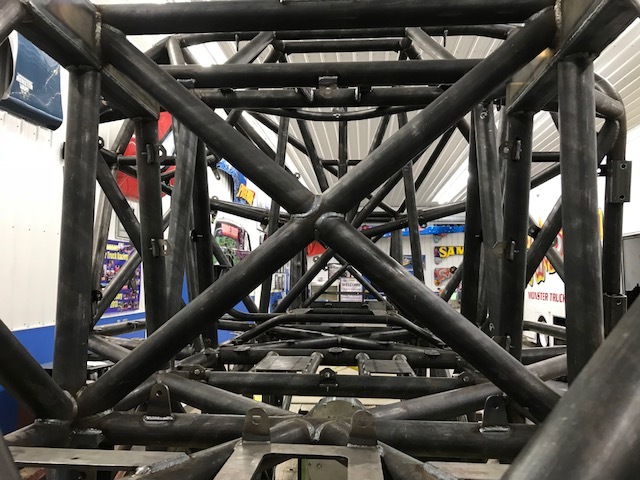 The Patrick Enterprises camp has been hard at work in recent months working on all kinds of new projects for our clients in the Monster Truck industry. 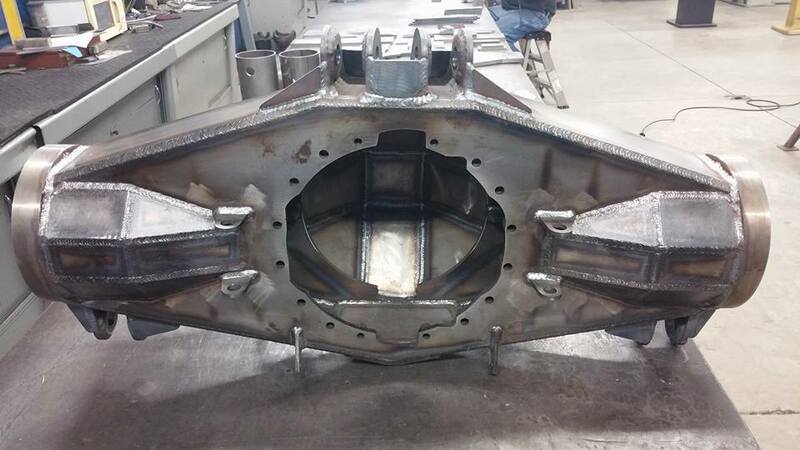 One of our biggest developments is the creating of a new style axle housing which was just recently unveiled. 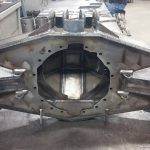 This housing has been built with a higher grade alloy steel and a stronger to take on the grueling punishment that today’s monster truck competitions put them through. 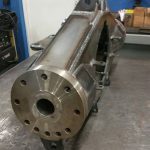 This housing design will be available with a variety of flange options including Clark, Rockwell, and Pettibone with a choice in the pinion being up or down. 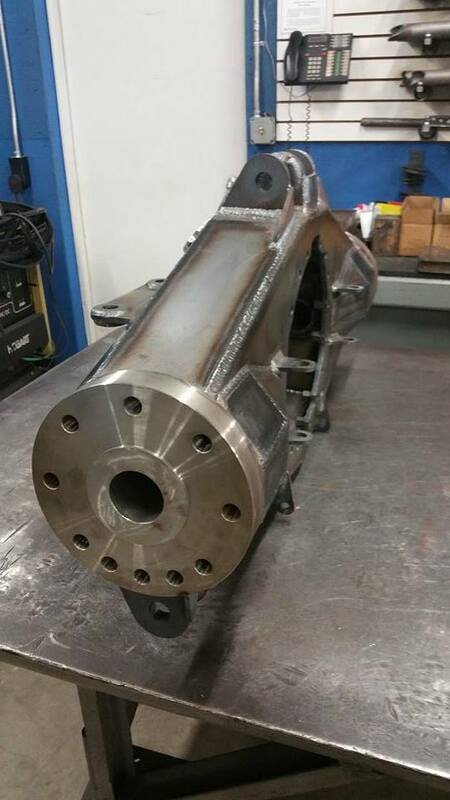 The 40 inch housings will be available for $2500 each while the 45 inch housings will be $3000. 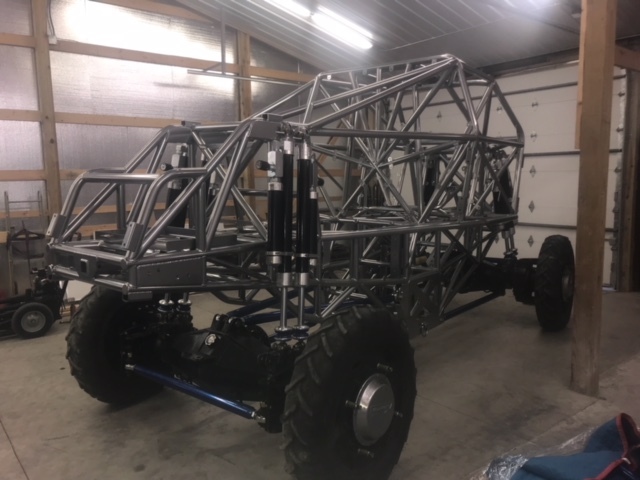 Along with the new axle housings, the PEI crew are gearing up to work on three new competition monster truck chassis for some of our customers. 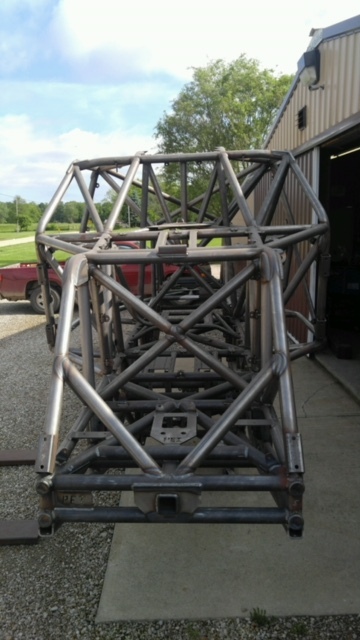 We’ll have more updates on the chassis developments soon so be sure to check back here for more updates soon. 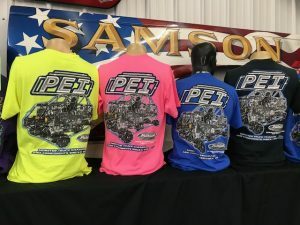 Also don’t forget to Like us on Facebook for more updates and grab your PEI and Samson gear from our merchandise store here.